I usually dread Mondays…the day AFTER the weekend. Usually I’m thinking to myself…I need at least ONE more weekend day!! But today I came back into work, feeling refreshed and energetic! And why you ask (even if you didn’t I’m definitely going to tell you)!? All because I was preoccupied with a little DIY project! 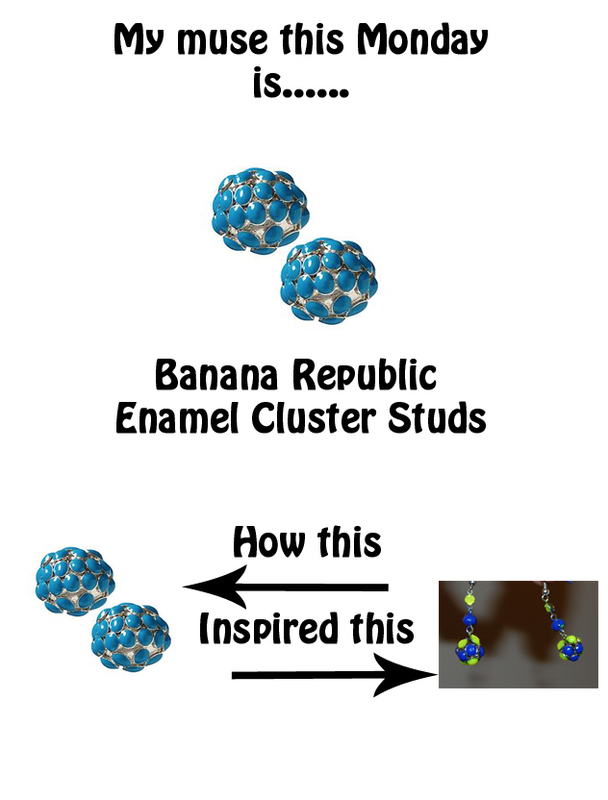 This pair of Enamel Cluster Studs was so adorable that I could not get them out of my head! I couldn’t remember for the longest time where they were from originally, so I decided to do the next best thing – create a pair inspired by the original. Imitation is the sincerest form of flattery no? 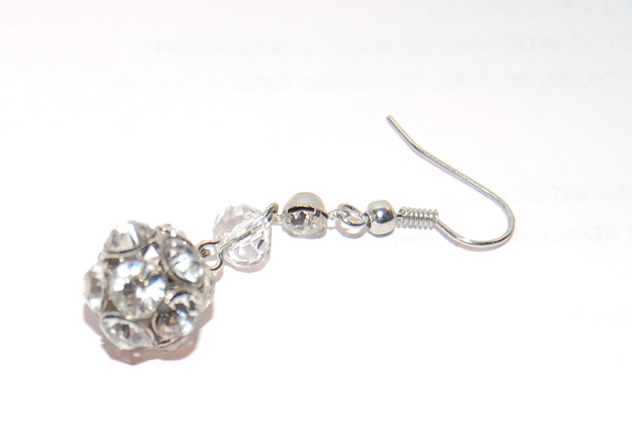 I started with this plain studded cluster earring. I didn’t plan any to do any sort of pattern with the colours I chose as there was an uneven amount of studs to paint. Ahh…right. That brings me to paint…what exactly did I use to get that “enamel” look? Just make sure that when painting products that have studs, you’ll need to coat them 2-3 times at least to get a thick coating. It’s supposed to end up looking like a “bubble-effect”. And I do recommend getting something to coat the finished project to give it a shiny effect (although I didn’t do this). Here I’ve started with one yellow “bubble” & one purple-blue “bubble”. Then from there I just painted the studs in whatever combination looked the best. Like I said before, there doesn’t have to be any rhyme or rhythm. Just go with what you think looks good! At the end of painting the clusters, I wasn’t sure if I wanted to paint the rest of the earring or leave the beads clear. But you’ll see here that I’ve painted the remaining bits of the earring! 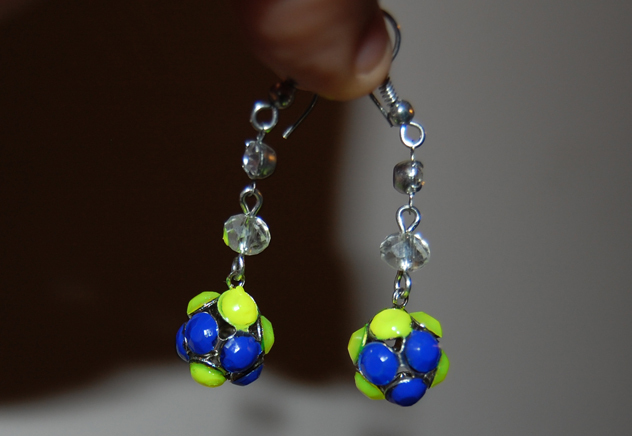 I have a couple more pairs of this earring style and can’t wait to try more colour combinations! 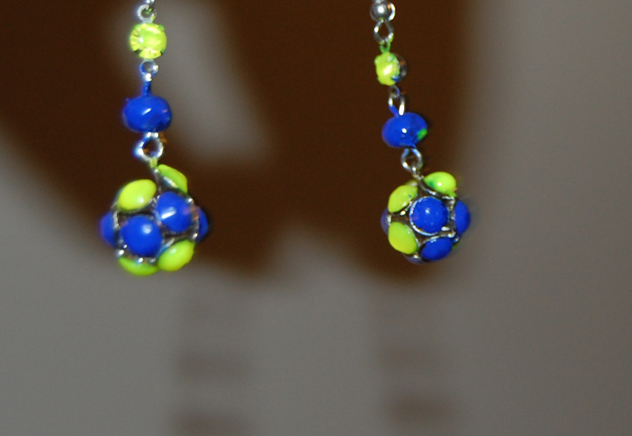 Also next on my list to add some varnish to: twin bracelets & “diamond” drop earrings! I love these – did you come up with the idea yourself? Sorry for the extremely late reply! 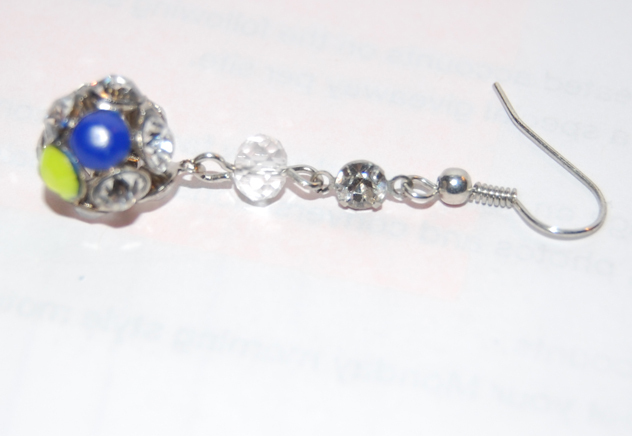 I had seen a friend with her DIY jewellery (done with nail polish), then saw the original earrings in-store. Figured I’d try it out myself!